Update on demand scenario, channel inventory, discounting trends and new launches, along with demand trend in urban and rural areas are some of the pressing issues that will be keenly watched. 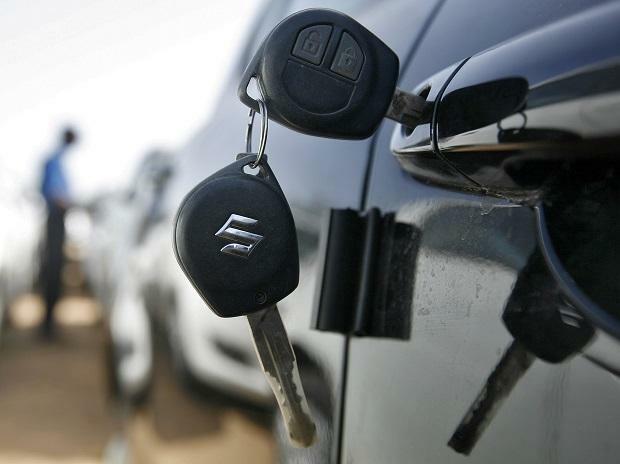 Maruti Suzuki India (MSI) is slated to unveil its third quarter (October-December period) results of FY19 on Friday. The company is expected to show a muted performance, primarily driven by decline in volumes, analysts say. Most auto companies faced multitude of challenges during the quarter under review such as rising raw material prices, increased cost of ownership, increase in insurance costs and low festive sales. The quarter gone by, according to analysts, witnessed the lowest festive sales in four-five years, particularly in two-wheelers/passenger vehicles (PVs) due to stress at the farm level and consequent weak rural sentiment. Maruti is expected to witness margin pressure due to lower sales base, lag effect in raw material procurement prices as well as currency depreciation. With no significant price hikes undertaken and higher discounts given during the quarter, the company is expected to report flat revenues on year-on-year (y-o-y) basis, say analysts at Prabhudas Lilladher. Further, given the commodity price rise as well as unfavourable Yen movement, margins are expected to dip 230 basis points (bps) YoY and 180 bps QoQ. Analysts at ICICI Securities expect net sales to come in flat (y-o-y) at Rs 18,938 crore. EBITDA in Q3FY19 is expected at Rs 2,828 crore. EBITDA margins is seen at 14.5 per cent, down 80 bps QoQ, 130 bps YoY. Net profit is expected to come in at Rs 1,854 crore, up 3 per cent YoY. Maintaining 'BUY' on the stock, Motilal Oswal Financial Services (MOFSL) expects net realisation to improve 1.7 per cent YoY (-0.8 per cent QoQ) to Rs 4,54,840 per unit, resulting in net revenue increase of 1.1 per cent YoY (-12.3% QoQ) to Rs 19,490 crore. Growth in realisation, the brokerage says, is likely to be driven largely by a favorable product mix. The brokerage expects profit after tax (PAT) to decline by 5.9 per cent YoY. It has also cut its FY19/20 EPS estimates by 3.3 per cent/3.9 per cent owing to cut in volumes by 2.5 per cent/3 per cent. Karvy Stock Broking, however, has downgraded the stock to 'Sell' from 'Buy' with the target price of Rs 6,580. "On account of slower volume growth over FY18-20 and uncertainties regarding the current margin sustainability, we reduce the target PER (price-to-earnings) multiple from 26x to 21xFY20E (10 per cent below its five year 12-month forward average PE)," their analyst said in a result preview note. During the recently-concluded quarter, Maruti shares have remained unchanged. The stock saw 0.02 per cent rise from Rs 7,463.95 as of October 1, 2018 to Rs 7,465.5 on December 31, 2018. In comparison, the Nifty Auto index has corrected over 4 per cent during the period. The benchmark Nifty50 index has risen 1.32 per cent during the same window.